It’s time to have a stake in all the holiday action and compete in the 2017 Free Sports Press “Bowl Mania Challenge”! The regular season is behind us. Conference champions have been crowned. The playoff field is set. Now the “2nd Season” is upon us as teams from across the nation look for one last chance at glory before hanging up their cleats until Spring Practice. 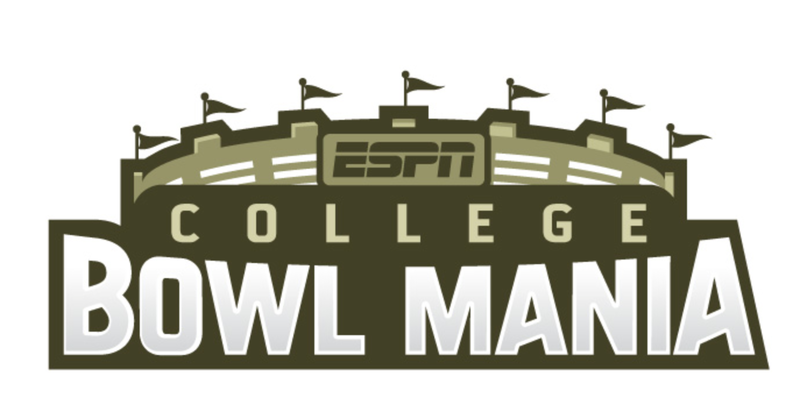 Did your team get a bowl bid? Or even better did they get selected for the “Final Four” in the College Football Playoffs? It’s easy (and free) to sign up for our contest, hosted by ESPN.com. Simply create your account with ESPN if you don’t already have one, create your entry, and join our group. Make sure you get your entry created before the first game kicks off or you’ll lose out on valuable points. We’ll be offering a $20 cash prize to the top entry in our group (you can have up to two entries), payable via PayPal. So spread the word because it’s more fun to trash talk a large group of friends/fans than listen to the sounds of silence. Thank you for all your support and good luck to all who participate!